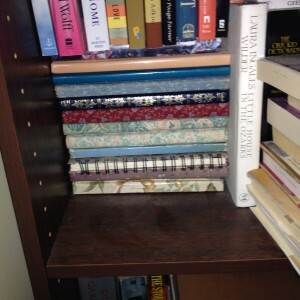 I’ve been a journal-keeper for as long as I can remember. I had one of those little girl journals with a locking strap that I can remember scrawling long rants and diatribes in when I was very young. 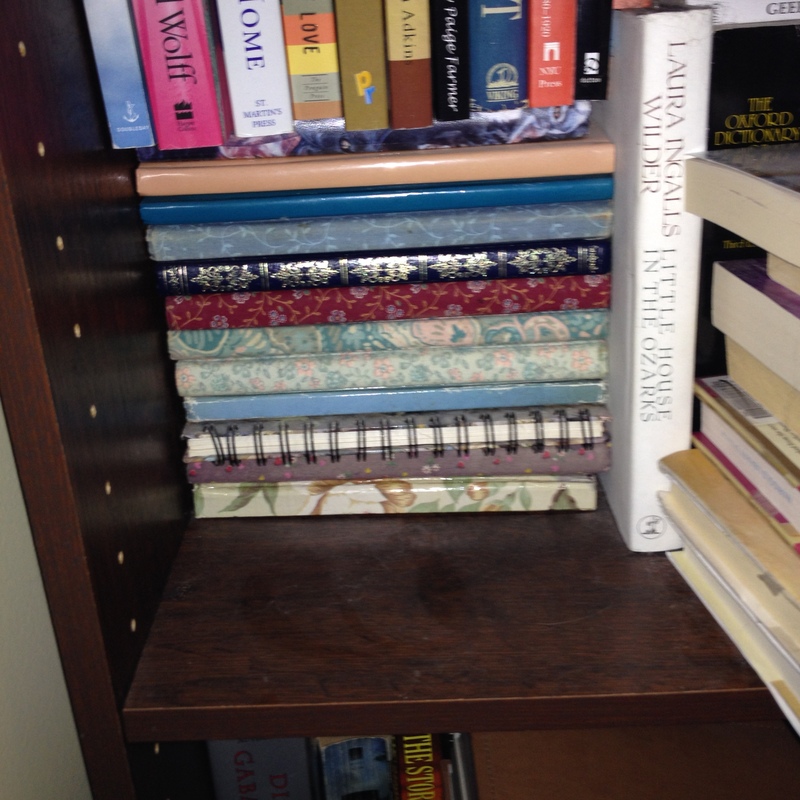 I don’t know what ever happened to those very early books – I know that some of my teen journals wound up in the trash (not a great loss to the world, they were angsty and dramatic), and I didn’t think my journals might be something meaningful and worth keeping until college or so. Now, my dusty bookshelves hold a collection of angst from college – hah – and young adult dreams. My parents found these in a box in their garage after I’d lost more recent journals in our house fire a few years ago… treasures lost and found. By then, I was keeping my journals in black and white composition books, where I also kept scraps of writing that I hoped to turn into poetry or life-changing novels. Their potential became ash, but I don’t regret keeping them, or any of my journals over the years. There is something special about actual pen-on-paper journaling that lets me pour out the raw, meaty, heart-open emotional spillage that I just can’t do through typing on a computer, despite the fact that paper is more transitory. It also feels more real, more private, and more special. I hunt out special pens that suit my mood for my journals. I stick in washi tape and glue inspirational quotes across the pages. Some of my journals look more like smashbooks or scrapbooks than traditional journals (and I’m perfectly ok with that. I actually use a lot of smash products in my journals!) I tuck in fortunes from cookies and headlines and feathers. You never know what you’ll find! I keep art journals as well as written journals, that contain sketches I’d never show another soul and hide my secret artistic ambitions. I play inside of them – because much of journaling is really play – with oil pastels and watercolors, with charcoal pencils and modge-podged ephemera. 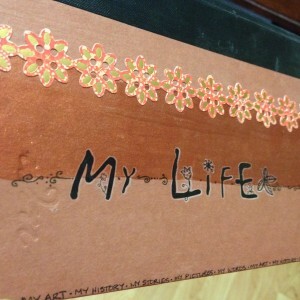 They are full of collages of things I adore, much like my altered books, which are journals in their own ways – collections of what I love, what I think about, what I hold close to my heart. My altered books often expose my secrets, my loves, my desires. 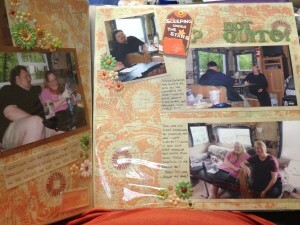 Even my scrapbooks are journals, in a way, where I tell stories of memories both current and of the past. I regale whoever might look at them one day with family tales, details of camping trips, reviews of plays and stories of what I’ve been reading. I document, document, document wherever I go. Even here, in this blog! 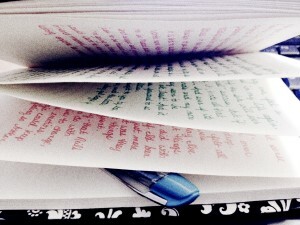 Because what is a blog but another way of keeping a journal. I let my personal feelings spill over, especially here in the Lifestyle section. I show you what we eat, what we grow, what we dream about, and in a way that is intensely personal as well. It’s like sneaking into a friend’s house and dragging her little book of secrets out from under the bed while she’s out. But that’s okay – here, you’re invited to snoop! 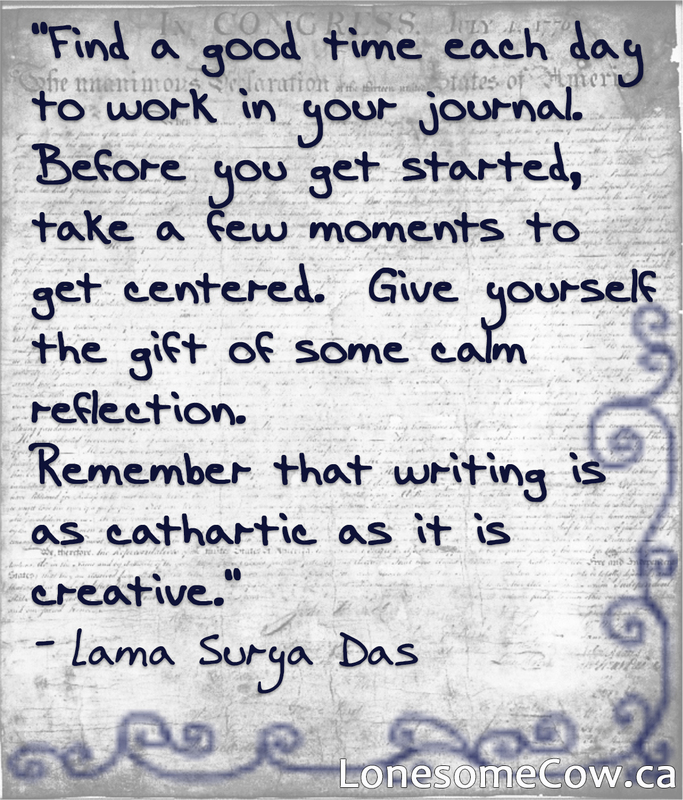 I couldn’t live without journaling. I’m glad I found those journals for you in the garage! Keep your writing going. Someday we will buy your published book.